The minutes that stay with you...always treasured in your heart. ...did I waste so much of it watching the Hatfields & McCoys? It was supposed to be amazing. It was one of the most views shows on television. We had recorded it a week ago and decided to watch it this weekend. So we watched it. And I kept waiting for the 'message' of it. ...what was I saying here. Whoops. Sorry. Didn't mean to go off on a tangent there. Perhaps the message was the irony of how a Man of God lost his faith in times of trouble and Man of ...ummm...not God found peace in his later years by embracing God? ...and the spitting and killing. The spitting and killing on the Hatfields & McCoys is now a part of the tapestry of my life. And I am so much the richer for it. Today I think it will be necessary to fill my life with wonderful moments to offset the six hours (less commercial time) that I frittered away over the weekend. ...and day dream of 6 packs. Oh GIRL, I have not watched that! I have heard some that liked it and some that didn't! Have a blessed week, HUGS! Thanks for the review. I will not be watching. ha ha! you made a profound point here. 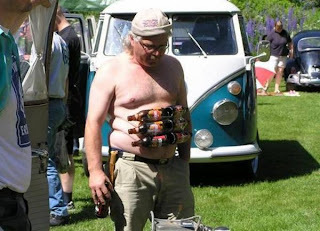 sorry about the six pack. You are too funny :) From time to time I've remarked that after wasting 2 hours at a movie, I will never be able to reclaim that time and am all the more stupid for having stayed. I hate that when that happens. Cheers to the stuff that matters. I must be out of the loop...I have never heard of it....doesn't sound like I missed much. I think we have the second kind of six packs at our house. I'd rather read your tangents, Jenny, than watch most television! who needs TV when we've got you!? Love the last photo!! I recorded the entire 6 hours to watch later, but I wonder if it's worth the bother. I believe what you're saying is that the series has no "socially redeeming value" (in 50's parlance). Thank you for warning me off before I wasted my time on it! I have it recorded, but haven't watched it yet. Now I'm having my doubts, because I know me... once I start on it, I won't give up. Like a dog with a bone. Poop, I feel a big waste of time coming on! So glad to get a review! I've heard about it, but not watched so now I won't! Give me Larkrise or Downton Abbey any day!!!! Just got back from a junkin' weekend with my dear besties with nary a tv in sight...wonderful!! Oh Jenny, you sure can put a spin on anything! Didn't watch and now I'm glad I didn't. Well, at least it got you thinking in the direction of what is valuable and precious and important to you. I hope you had many wonderful moments in your day today. You said it better than I could! I would much rather spend time with the love bugs in my life than in front of a tv screen. There's just something about knowing how precious life is. I too, am seeing people in my life pass away that I never thought I'd see. Maybe I was clueless but it is almost frightening to think that I am getting old. Perhaps it's not totally wasted if you got some relaxation and refreshment out of it. Yeah .... i didnt watch ... kinda knew it was about some old fued ... and there would be lots of killing ...that kind of ruined any surprise that could have been in the show. For me, it was a wonderful distraction while I was home being sick. I loved it.